The Florricks’ kitchen on The Good Wife shows off what a splash of even muted color can do in the kitchen, especially when it’s complemented by that beautifully dark, two-tiered stone countertop. While Hanna’s house on Pretty Little Liars may have been designed to look “picture perfect on the outside, but so much turmoil on the inside,” we can’t deny that we would love to have her kitchen, especially that massive stone-top island! Rayna Jaymes’ kitchen on Nashville is delightfully rustic, with beautiful wood floors and cabinets and black granite countertops that set them off perfectly. The D.C. townhouse owned by Francis and Claire Underwood on House of Cards is filled with perfect touches, including a kitchen that brings a sleek, industrial modernist style. White cabinets and brushed nickel hardware, along with beautiful black granite countertops, really make it shine. Granite isn’t the only natural stone countertop to add style to TV kitchens. 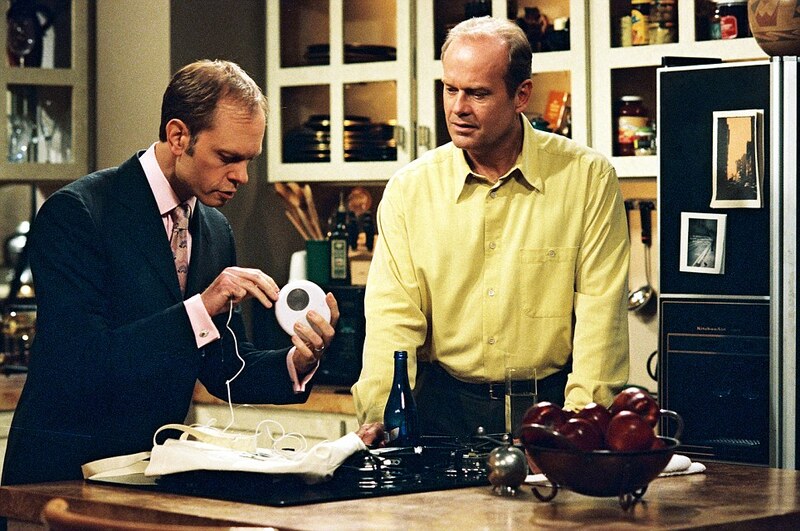 The apartment of Dr. Frasier Crane on TV’s Frasier boasted a distinctive kitchen with a marble countertop. What gets cooked there may not always be too savory, but there’s no denying that Dr. Hannibal Lecter’s kitchen on Hannibal shows off his excellent taste, with its barn and zebra wood textures, contrasted by stainless steel appliances and travertine countertops. The “Murder House” in the first season of American Horror Story is actually part of the real life Rosenheim Mansion in L.A., which has also appeared in episodes of Buffy the Vampire Slayer and The Twilight Zone. While you may not want to live there, its kitchen certainly is to die for, with its big bay window and combination of black granite and cream marble on the countertops and island—a perfect complement to the black and white checkered flooring. 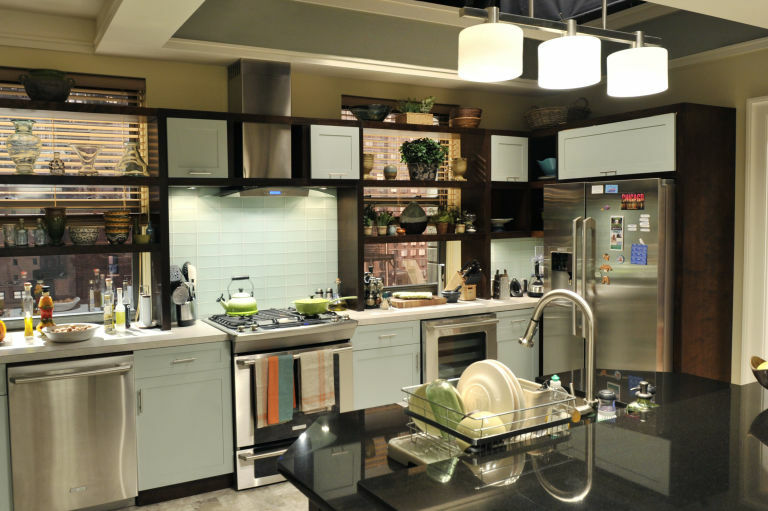 On the screen, everything has to look perfect, and Hollywood set designers spend a lot of time making sure that all the kitchens in their shows look just right. Given how many granite and other natural stone countertops they feature, they must know that the granite countertop polishing process is quick and simple! All you need are the right stone care products, and you can have a beautiful, gleaming granite countertop that’s ready for its close-up in no time! At Rock Doctor we specially formulate our complete line of stone care products to make it easy for you to keep your granite and other natural stone countertops looking their best year after year. Our complete stone care system includes granite cleaner, granite sealer, granite polish, and more. All easy to use, and all available at fine retail stores like Lowe’s Home Improvement, as well as participating Ace Hardware, True Value, and Do it Best locations.